Prof. Barsade’s lecture traced the psychology of implicit biases, how they damage hiring and organizations, and how they can be addressed in workplaces and communities. Barsade, Wharton professor of management, presented as part of the first day of Return on Equality (ROE) Week, February 13 to 16. ROE is a student-led initiative with a mission to “equip MBA students with the skills and knowledge to become advocates and allies of diversity and inclusion in their professional and personal lives.” Co-sponsored by the Wharton Graduation Association and MBA Program Office, ROE Week involves 16-plus hours of robust programming and dialogue among students, faculty, and guests. Barsade’s lecture traced the psychology of implicit biases, how they damage hiring and organizations, and how they can be addressed in workplaces and communities. She became interested in the subject through her study of emotions in organizational behavior, much of which is unconscious. This pursuit led to research into unconscious biases. Unconscious biases may exist in direct opposition to positions an individual would consciously endorse. Before the session, registered participants tested their biases through Project Implicit, an organization that creates a “virtual laboratory” for collecting data on the Internet and evaluates hidden biases. Afterwards Jeff Klein, executive director of the McNulty Leadership Program, led an interactive discussion of how unconscious biases have shaped students’ lives and how they can be reshaped. 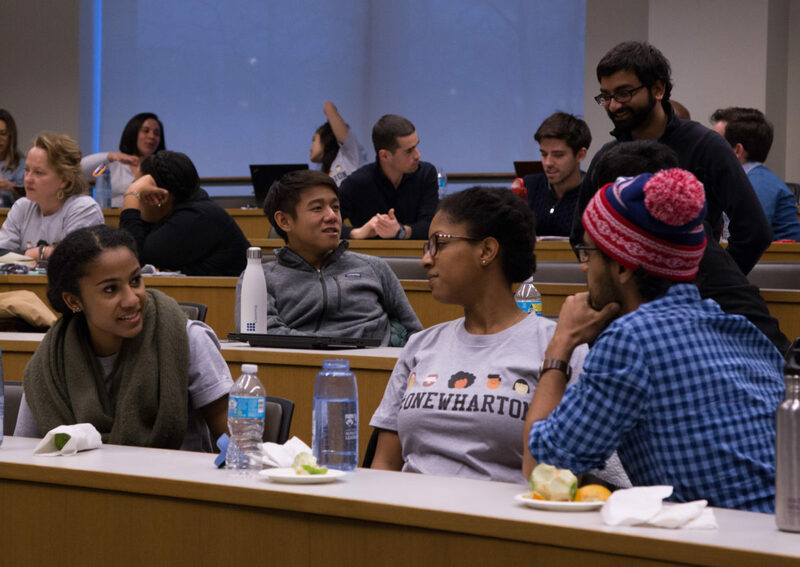 The Unconscious Bias presentation was part of Wharton Return on Equality Week, which used the hashtag #OneWharton. 1. Unconscious associations plus cultural stereotypes turn into unconscious bias. The brain takes in information and sorts it quickly through unconscious associations. These shortcuts for the brain can be adaptive in some situations, but in modern life, when combined with cultural stereotypes, unconscious biases create potential for discrimination. Culture transmits preferences and beliefs unconsciously and pervasively. In fact, biases even hold among the stereotyped group. Often biases don’t align with declared beliefs or reflect positions we would endorse. 3. Unconscious biases predict how people will behave. A person may not consciously agree with a stereotype but an unconscious bias can shape interactions with a person in the stereotyped group. 4. We can become aware of our biases. A truly unconscious bias is insidious because when it can’t be corrected. One way to identify biases is through self-testing like those available at Project Implicit. 5. Once identified, a bias can be corrected for. We can minimize the effect of biases by examining them and correcting for them. In employment, that means looking for and removing bias at every step of the process and every point of evaluation – resume selection, interviewing, hiring, evaluation, and advancement. 6. Unconscious biases are malleable. We can root out unconscious bias by forming relationships with those in the stereotyped group and seeking out role models and alternatives to the stereotype. Cultural change can be gradual but reduces unconscious biases in other generations. 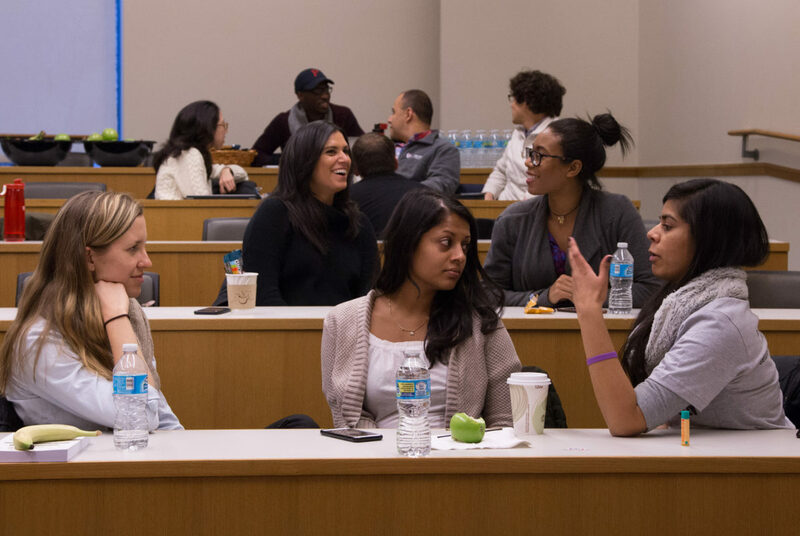 MBA students discussed experience with implicit and unconscious biases during the workshop.